TC Logo was available only through DACTA, which sold to schools. 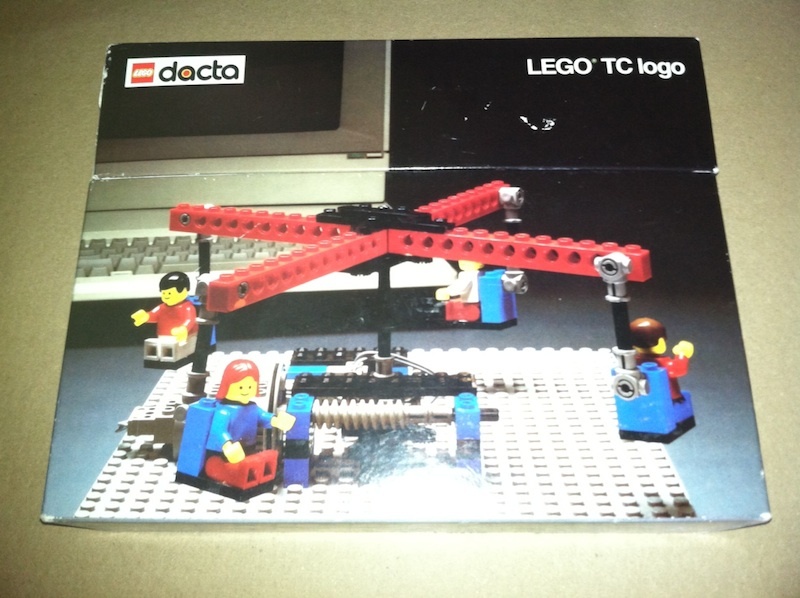 When DACTA discontinued and clearanced in 1996, my high school let me purchase one of the kits through them. In my senior year (2000) my high school got rid of their Apple IIe's and I took the computer lab home with me. I have a decent number of interface boxes and an assortment of (worn out) motors and lights. I'm short on interface cards, but they look reasonably easy to duplicate. There's not much on the board besides a 6522 and some logic, so I'm hoping it will be easy to duplicate. For the TC Logo, do you have the software? Was there a physical turtle that was driven by the Apple ][? I have the disks. I haven't used them in a few years, but I found it on Asimov, too. 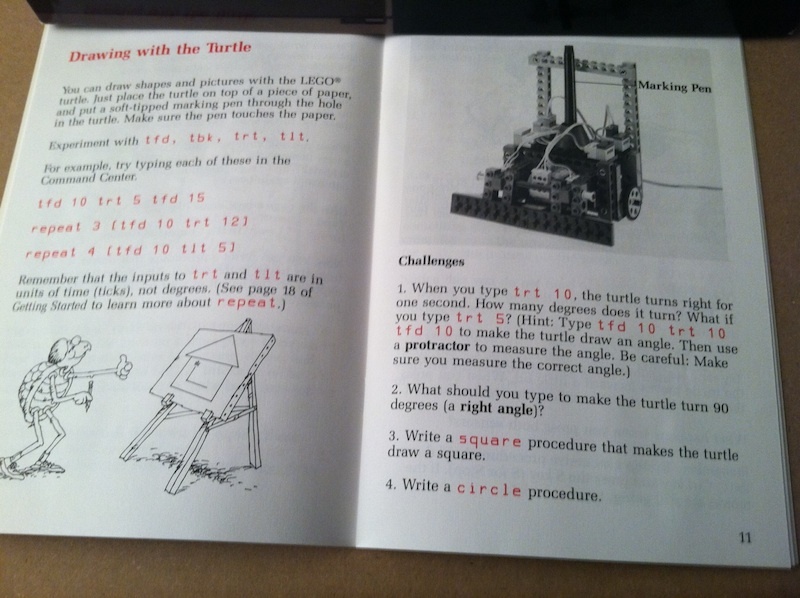 One of the projects is a vehicle, which I think the instructions do call a turtle. It can be configured with bumpers (touch sensors) or an optical sensor to make it follow a line. Does the Turtle hold a vertical pen? Any action on this project? This looks like it could be a lot of fun to experiment with. Did you wind up making your own? I have more control boxes than I have 9767 cards, and I was just looking over what it might take to create a workable card. If you have some experience to share on how it went if you tried to build one, I'd be interested to hear. I was hoping I could swap in a 6820 instead of a 6522, since I have a few of those and I think they're compatible. I'm kind of a novice at this kind of prototyping, but I can hardly imagine an easier project to try to start off with. I can't read the lettering, but I'm expecting that IC3 is a 74LS74. The 6522VIA needs some delays on the one of the clocks in order to work on the Apple II bus. There is an Apple Tech Note describing the circuit. 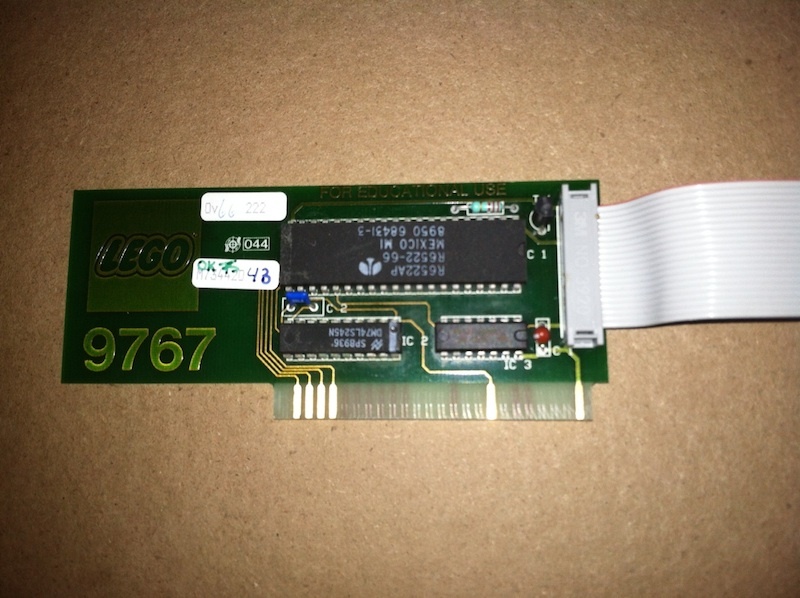 I don't know for absolutely sure, but my Superproto board most likely could replace the Apple II interface card, by simply wiring in a header for the ribbon cable and possibly adding a couple of discrete components. The EEPROM on the Superproto could be left off, if you felt you didn't want it there. I have one of the Superproto boards and was thinking just the same thing -- I could try to wire up something on a bare prototype board, but a lot of the work appears to already be done for me on the Superproto board. It might be overkill (in that the Superproto board seems to be already much more complex than the LEGO card) but at least it would be possibly a faster way to try to get something working. 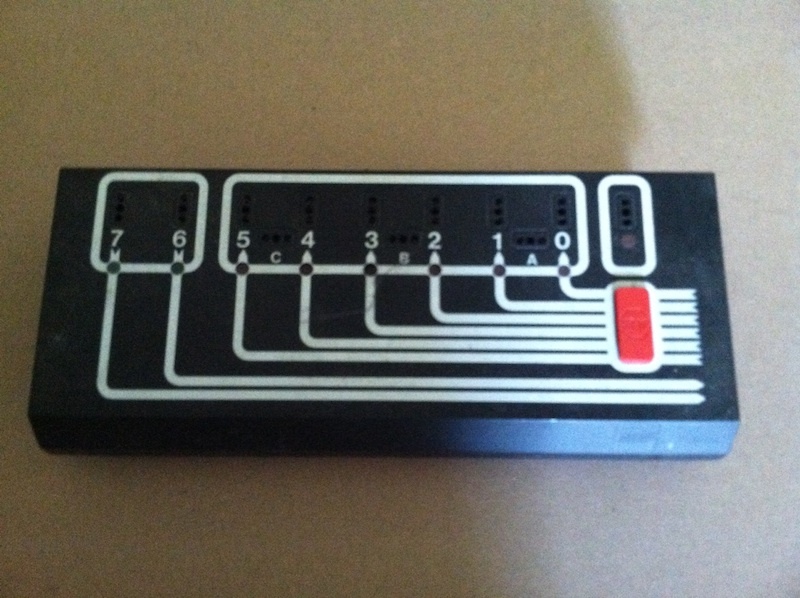 I'd still need to get a cable with a 20-pin connector for the interface box, but this is likely the route I'll take. I'll report back what happens, when I get around to attempting it. In 2016/7/8 I immersed myself in the mid-1980s Lego robot sets. Also did a boatload of historical research. The result is my (no longer new!) website, http://www.mindsbeforethestorm.com. It's not finished, but there is a lot of information posted.